A new, comprehensive medical testing capability that provides enhanced traceability per ISO 13485 quality management for medical devices is being introduced by Aved Electronics, Inc. of North Billerica, Massachusetts. Aved Medical Cable & Wire Harness Assembly Services utilize a broad range of automated wire processing equipment for wire from 30 Ga to 1 KC mil and virtually any connector type. Featuring a 100% test of each cable assembly, the firm employs Cirris® 1100R+ testers incorporated onto mobile carts with dedicated computers that store all test results including part numbers, customer information, serial numbers, and lot identification for each one. 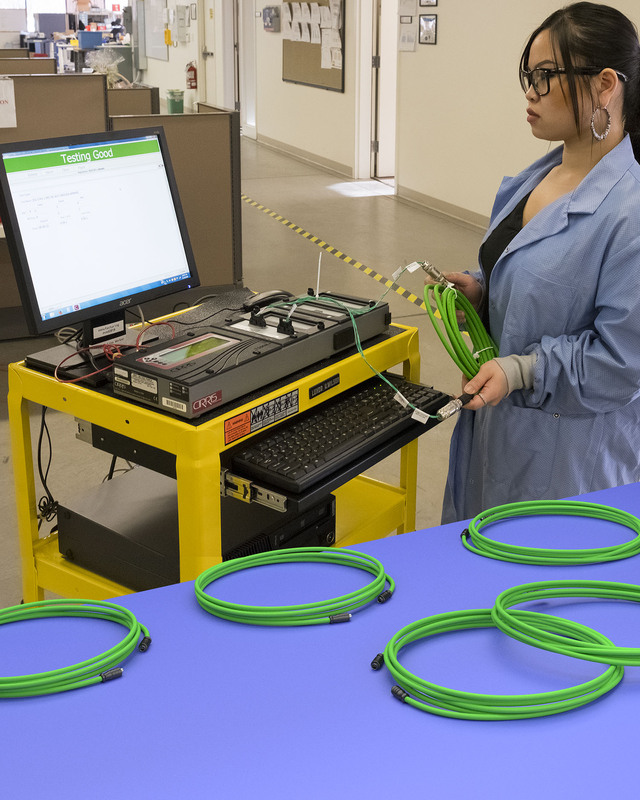 The enhanced testing capability provided with Aved’s Medical Cable & Wire Harness Assembly Services includes building text fixtures and mating connectors for each cable assembly. With over 30 years of experience, Aved can help identify the optimum wiring and cable solution for virtually any application. There are six mobile carts available to perform complete testing including SPC to validate testing quality.